Roger McGough ‘The patron saint of poetry’ launched the brand new Poetry and Literature Festival for Peterborough ‘We Love Words’ on Saturday 8th September at the Key Theatre. It has been widely agreed that the festival was a resounding success and offered a chance to see writers and poets that specialised in penning all types of writing from punk and political writings to sharing comedic elements of everyday life. The festival starred Wendy Cope, Sir Andrew Motion, Clive James, Helen Mort, John Hegley and Attila the Stockbroker. These writers were supported by local writers and poets, Keely Millls, Toby Woods, Dead Poets – Mark Grist and MC Mixy, Stuart Orme and Rodney Lines. Other events included the first performance of the play “The Long Life and Great Good Fortune of John Clare” written by Toby Ramsay and performed by the Eastern Angles Theatre Company. 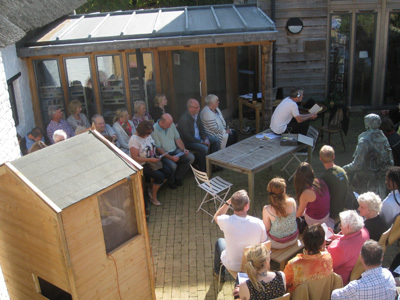 The world premiere was at the John Clare Cottage. The Festival was again unique in the way it held performances in many beautiful and interesting venues in and around Peterborough, these included the Clare Theatre, Chauffeurs Cottage, Peterborough Cathedral and John Clare Cottage. The festival culminated in an event where the new Poet Laureate for Peterborough, Simon Stabler, was chosen by an adjudicating panel, led by Sir Andrew Motion, the former National Poet Laureate. 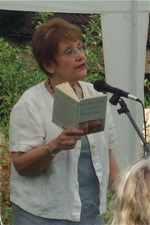 The festival was so successful that it will be returning on 2013 with another star studded line up of writers and poets and again will be supported by Waterstones the booksellers and other partners. 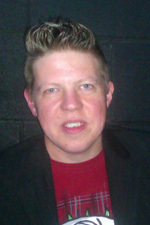 As part of the successful We Love Words Festival, Simon Stabler was chosen as the new Peterborough Poet Laureate. His poem ‘ This is Peterborough …. and we deserve more‘ and his reasons for applying were judged to be the best by a panel led by former poet laureate Sir Andrew Motion. Motion said that he thought Simon brought ‘freshness, integrity and passion to poetry which would work well on the local and national stage’. Simon was thrilled yet overwhelmed by winning and he is looking forward to working with The John Clare Cottage, Vivacity and Libraries and Schools of Peterborough during 2012/13. We look forward to hearing more of his thought provoking work. We have a cathedral, what else have we got? Will you join me in the big fight back?